Fabulous Condition Inside and Out! 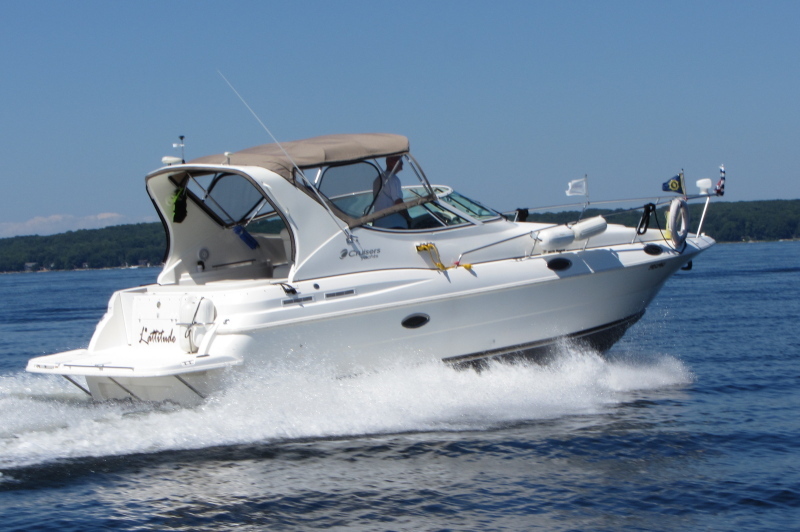 This classy Cruisers 3075 express combines cruising style and comfort at a truly affordable price point. The U-shaped cockpit settee is great for entertaining and converts to a large sun pad. Step out to the extended swim platform and you will find dedicated storage and a built-in fender rack. Additional features include a cleverly designed integrated anchor platform, molded steps to the walk-thru windshield and easy engine room access. This super clean, freshwater family cruiser comes ready to go with windlass, portable generator and full canvas enclosure. Also included is a hard bottom dinghy and motor making this turnkey cruising package a super value overall.